WE ARE ALWAYS LOOKING FOR NEW INTERNSHIP OPPORTUNITIES FOR OUR WOMEN. ​The SafeHouse Internship Program began in 2009, supported by a "seed grant" from the Lantern League, a circle of women donors. The goal of the program is to support our women to gain the practical skills needed for success in today's job market. It allows women who may have never held a real job become employable and build their economic security and self-sufficiency. 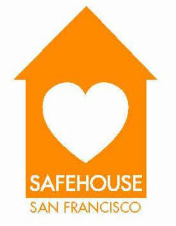 The Internship Program has an easy and simple format: SafeHouse provides the wages and the Sponsor provides the job! Women who complete the internship are sometimes offered a permanent position or have the skill set to find other employment. The Internship Program has been one of our major successes, with a large impact on those who have taken part. If you are interested in learning more about the program or have an Internship to offer, please get in touch! SafeHouse women have worked in a variety of internships, and we make sure that their skills and interests align with your needs.